These aren't the type of lipsticks you'd wear to the boardroom (no, you need a matte-power lip for that), but you would wear these on holidays or for every day where when you just want a hint of colour. 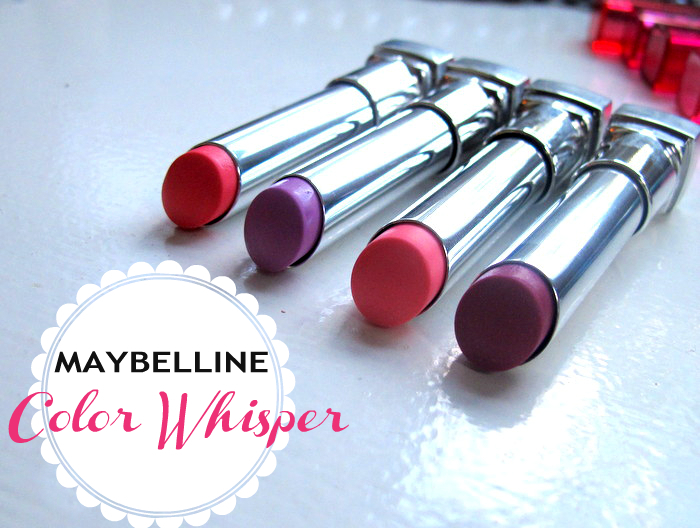 Have you tried the Color Whisper range from Maybelline yet? 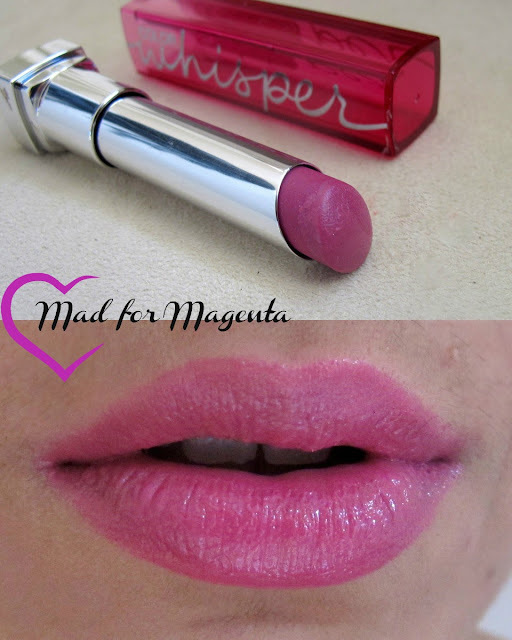 Do you like these types of formula on your lipsticks or do you prefer a more pigmented finish? I clicked on this because I saw purple! Like you, I'm a sucker for anything purple! Alas, all of it are too sheer for my liking. 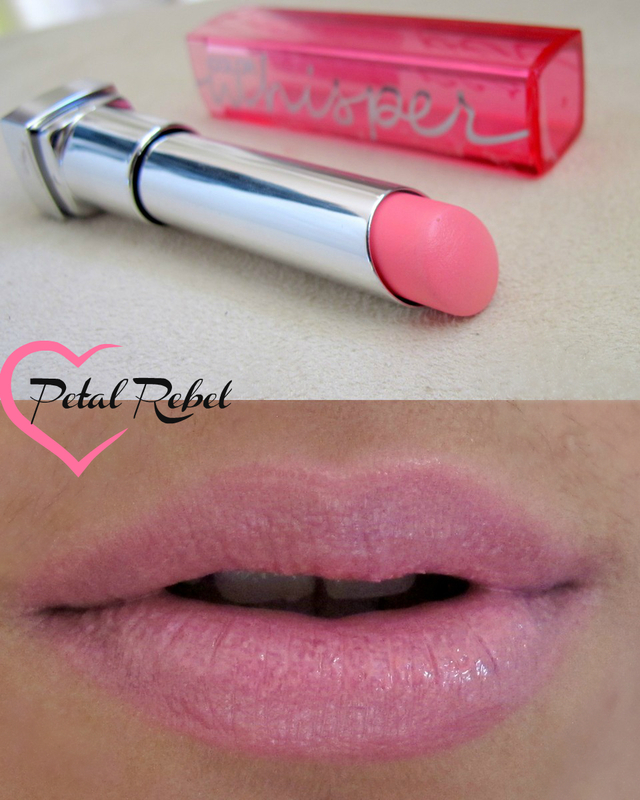 I'm not a fan of tinted stuff whether it's lippies or foundation. My motto is, go all out or go home! Lol. 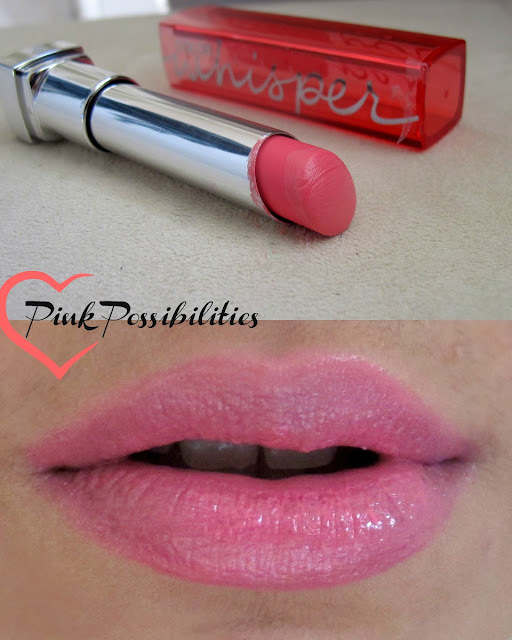 I love these lipsticks! I have eight shades, my favourites are Mad For Magenta, Color Ambition and Orange Attitude. I want and I need!!! Oh la lilac is so pretty! Really love the look of Pink Possibilities and Mad for Magenta although all shades suit you so well! I have oh la lilac and love it. the other ones are so pretty too!